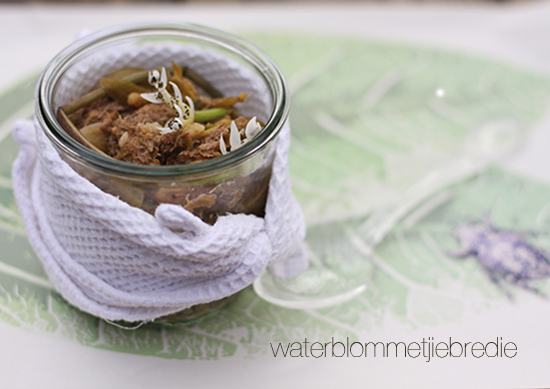 A great Boland convention is waterblommetjiebredie (a delectable, hearty stew). Waterblommetjie (Aponogeton distachyos) literally denotes “water flower” and is endemic to the Western Cape. 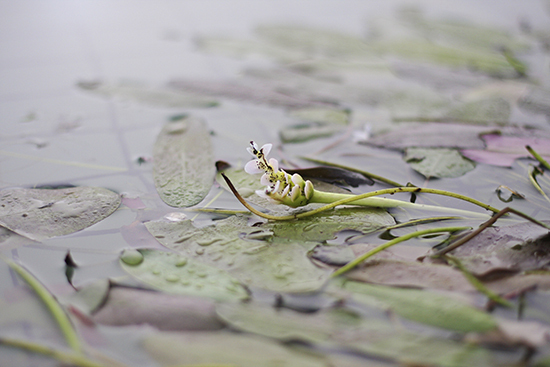 During the winter and spring months these slightly scented, fleshy white flowers drift on our valley ponds. 1. Cover the waterblommetjies with cold water in a large bowl. Add salt and let it soak until needed. 2. Heat the oil in a large heavy-bottomed saucepan. Brown the meat at high temperature. 3. Add onion and garlic to the meat and sauté until translucent. 4. Reduce the heat and add wine, lamb stock and lemon juice. 5. Cover and cook slowly until the meat is tender. 6. Add carrots, leeks, potatoes and waterblommetjies. 7. Continue cooking on low heat for about 30 minutes. But beware not to over-cook the waterblommetjies. 8. Season with sea salt and freshly ground black pepper. 9. Serve hot with rice or lentils. * Soaking the waterblommetjies in salted water will get rid of any sand. * Always use quality wine. * For another layer of flavour add fresh thyme or oregano. * Lemon juice will help the waterblommetjies retain colour. * Slow cooking, over low heat brings out the best flavour in the dish, it also ensures that the ingredients doesn’t go mushy.